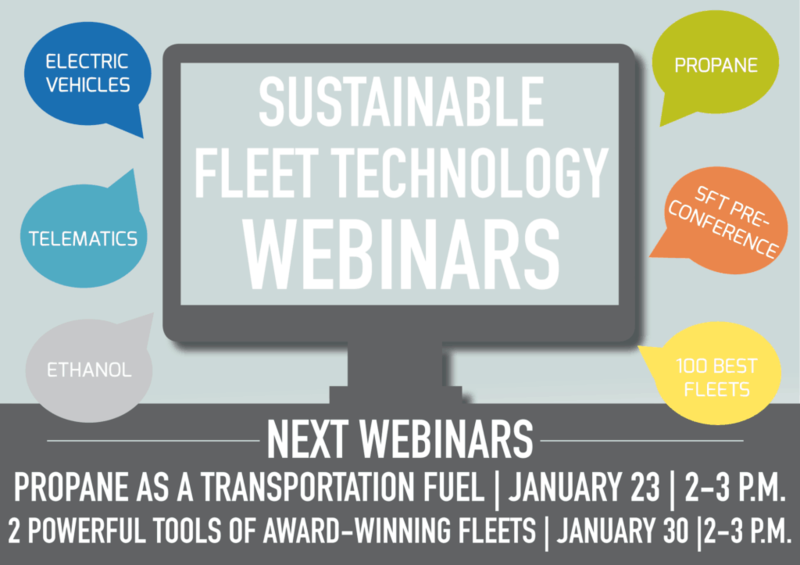 Tune in to two new Sustainable Fleet Technology Webinars this month! These free & informative webinars keep you up to date on trends and technologies to help you do your job more easily and efficiently. On Wednesday, January 23 from 2 to 3 p.m., join us for a free webinar on propane as a transportation fuel. 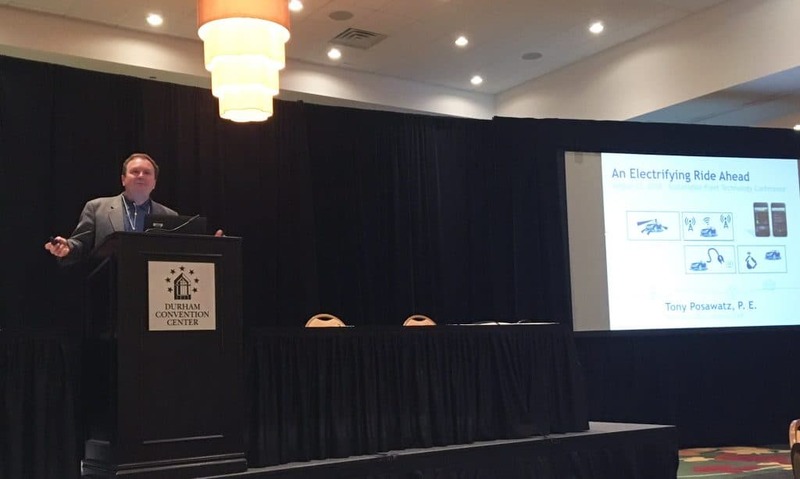 Hear from the Propane Education Research Council (PERC), leading propane vehicle suppliers, and fleets that have successfully deployed propane as a transportation fuel. We will also learn about deployment considerations, best practices and best applications. PERC will provide a general overview of propane as a transportation fuel. 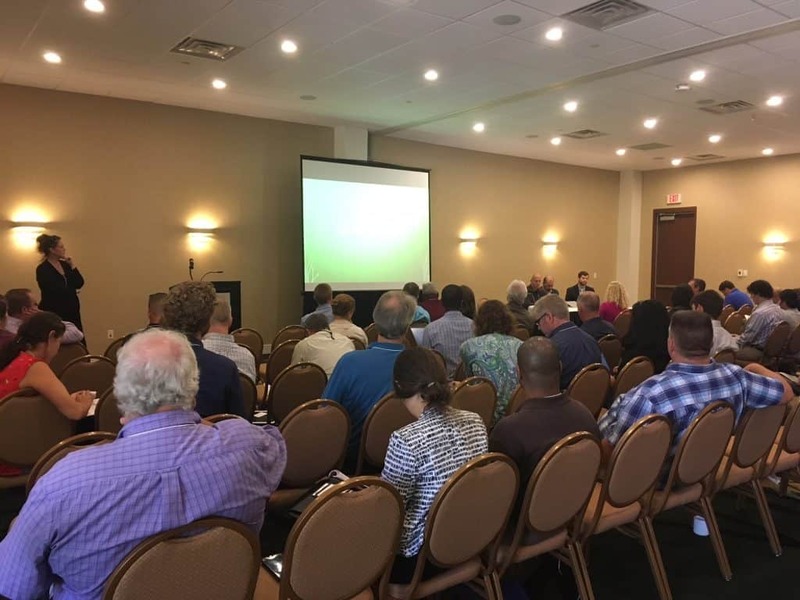 Several fleets from different vocations including law enforcement, school bus, paratransit and tow truck/wrecker industry will tell their stories regarding their decision to switch to propane, their experiences, and lesson learned. There will be a round table opportunity to have myths dispelled, and questions and concerns answered with PERC, the fleets and suppliers (ICOM Alternative Fuel Systems, Alliance AutoGas and Roush CleanTech) participating. Register here! On Wednesday, January 30 from 2 to 3 p.m., join us for another free Sustainable Fleet Webinar. Hear from one fleet that went from #99 Best Fleet in North America to #4, using one powerful, transformative tool. This tool is not for sale – it is FREE to use in your own operation. You can’t afford to miss this presentation by the fleet manager on his story and the impactful results! 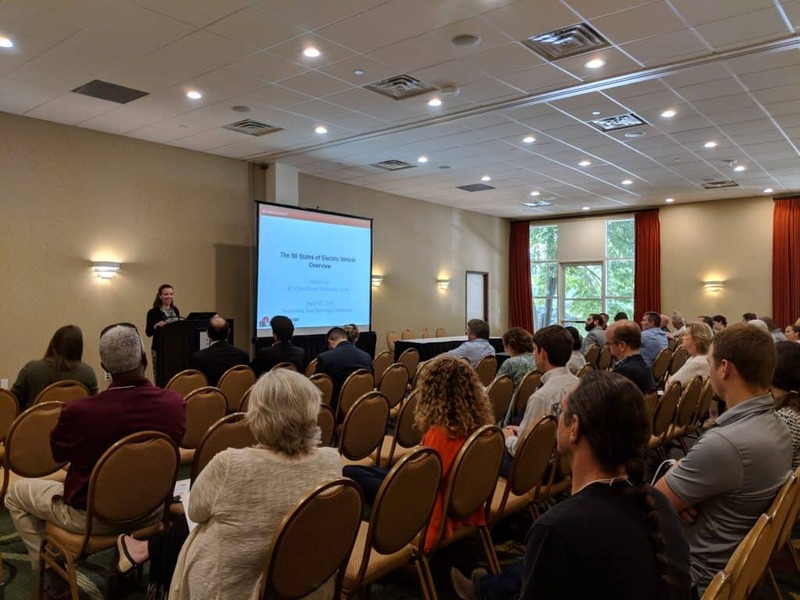 The 2019 Sustainable Fleet Technology Conference will be August 7-8 2019 in Durham, NC. Learn more and register at www.SustainableFleetExpo.com. We put together a list of transportation-related events we’re looking forward to in the first half of 2019! 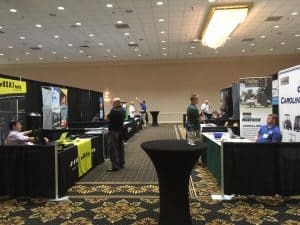 There are many diverse conferences and events taking place all over the country, connecting transportation professionals, showcasing the latest technology, and sharing new ideas and practices. 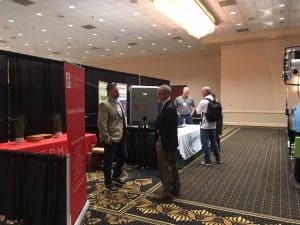 Just in the first few months of 2019, there are conferences covering general transportation, clean transportation, energy, fleet management, grid, work trucks and more. Take a moment to consider marking these on your calendar! North Carolina’s projected growth requires consideration and careful action, especially regarding population growth. In fact, the state’s population is expected to increase by 3 million people by the year 2040. That impressive number is equivalent to the entire state of Kansas relocating to North Carolina. While a remarkable statistic, this growth has the potential to create new challenges. The Summit is an exceptional opportunity for people to gather and consider these fast-approaching and disruptive shifts. In attendance will be policy makers, transportation and industry experts, and representatives from city/county governments. The Summit is anticipating 500 attendees from across the state. The gathering will also include exhibitors who will demonstrate and display cutting-edge technologies, advances in engineering, as well as services in multiple disciplines. 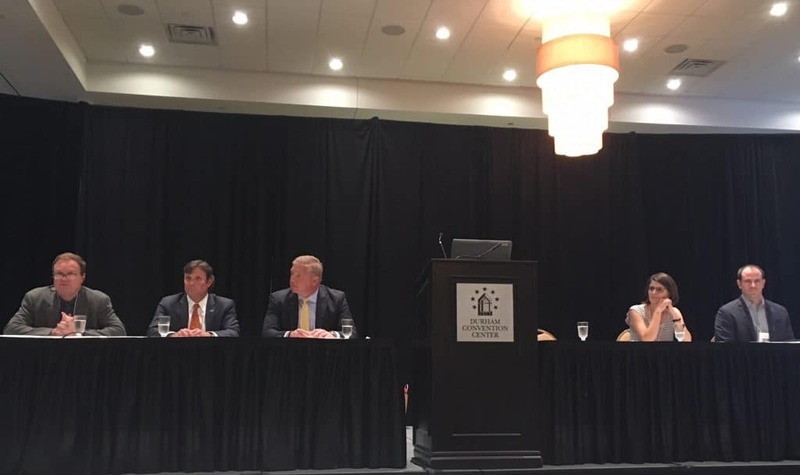 The 2019 Mid-year Appalachian Energy Summit will be hosted by the University of North Carolina Greensboro on Thursday, February 28. The Mid-year Summit brings together students, faculty, and leaders in academia and business to exchange ideas and share best practices in support of a clean energy economy. Since 2012, the Summit has provided a platform through which UNC System campuses have worked together to avoid almost $800 million in utility costs. The NTEA Work Truck Show is North America’s largest work truck event is your once-a-year chance to see all of the newest industry products. 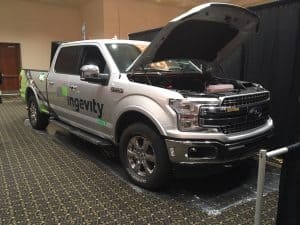 The Green Truck Summit offers cutting-edge solutions at the forefront of technology. The Fleet Technical Congress is an event where fleet managers can explore the latest technology solutions. A conference for commercial truck manufacturers, upfitters, distributors and body builders of all sizes. The Advanced Clean Transportation (ACT) Expo, North America’s leading conference and expo showcasing the real-world application of the latest transportation technologies, drive trains, and clean fuels. ACT Expo combines the best educational content in the industry with a cutting-edge trade show floor showcasing the most innovative technologies on the market today. Connected vehicle technologies, fuel efficiency improvement strategies and equipment, and drivetrain electrification will be key focal points for the 2019 show, set against the backdrop of increased use of alternative fuels, innovative powertrain solutions and economic & environmental fleet sustainability. The top electricity stakeholders, from regulators, ISOs, and utilities to technology providers, academics, and government agencies, put their heads together to determine how we will modernize the electric sector: the Grid Evolution Summit. The Summit will give you an opportunity to create solutions that will leave a lasting impact on our energy future. 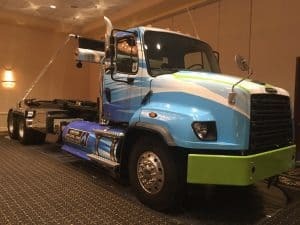 The Sustainable Fleet Technology Conference will showcase the latest and greatest technologies in the biofuels, electric, natural gas, and propane arenas. The conference will also have a strong focus on data-driven decisions and technologies. With 50+ speakers and 40+ exhibitors, this event will highlight the leading edge of sustainable fleet practices and alternative fuel opportunities. Last week, Governor Roy Cooper issued Executive Order 80, which calls for the State of North Carolina to protect North Carolina’s environment while growing clean energy technologies. Executive Order 80 affirms North Carolina’s commitment to reducing statewide greenhouse gas emissions to 40% below 2005 levels, calls for a 40% reduction in energy consumption in state-owned buildings, and calls for an increase in registered, zero-emission vehicles (“ZEVs”) to at least 80,000 – all by year 2025, according to a press release from Gov. Cooper. 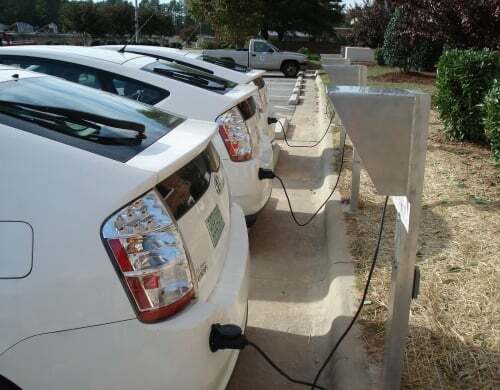 The North Carolina Department of Transportation (**DOT’), in coordination with DEQ, shall develop a North Carolina ZEV Plan (“ZEV Plan”) designed to increase the number of registered ZEVs in the state to at least 80,000 by 2025. The ZEV Plan shall help establish interstate and intrastate ZEV corridors, coordinate and increase the installation of ZEV infrastructure, and incorporate, where appropriate, additional best practices for increasing ZEV adoption. DOT shall complete the ZEV Plan for the Council to submit to the Governor by October 1, 2019. Cabinet agencies shall prioritize ZEVs in the purchase or lease of new vehicles and shall use ZEVs for agency business travel when feasible. When ZEV use is not feasible, cabinet agencies shall prioritize cost-effective, low-emission alternatives. To support implementation of this directive, the North Carolina Department of Administration (“DOA”) shall develop a North Carolina Motor Fleet ZEV Plan (“Motor Fleet ZEV Plan”) that identifies the types of trips for which a ZEV is feasible, recommends infrastructure necessary to support ZEV use, develops procurement options and strategies to increase the purchase and utilization of ZEVs, and addresses other key topics. 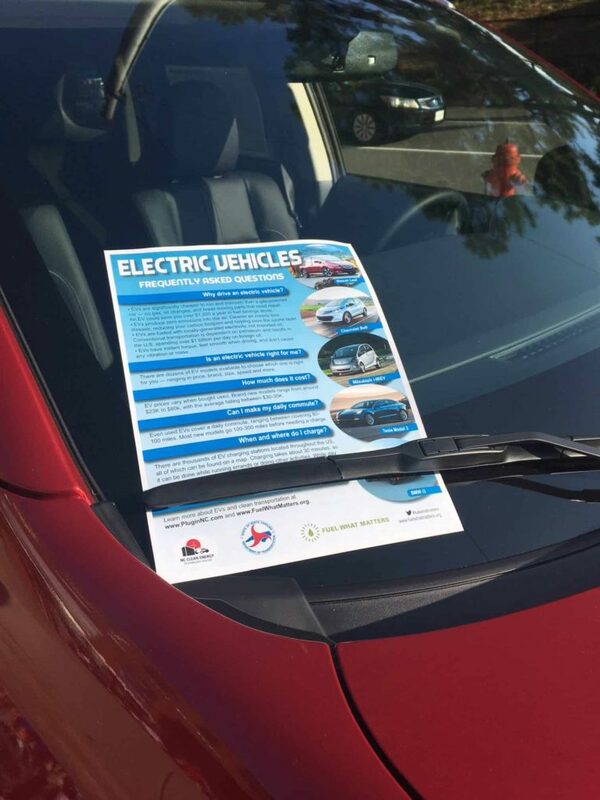 DOA shall complete the Motor Fleet ZEV Plan and provide an accounting of each agency’s ZEVs and miles driven by vehicle type for the Council to submit to the Governor by October 1, 2019, and annually thereafter. 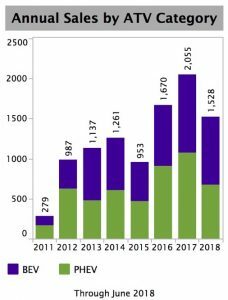 It was announced in October 2018 that plug-in electric car sales surpassed 1 million in the US. In 2017 alone, approximately 200,000 electric vehicles were sold in the US, the most yet for any year in the U.S. electric vehicle market, according to a recent 50 States of Electric Vehicles Report, from Q3 2018. In North Carolina, according to ChargePoint, the state was third in the nation in EV growth in 2016, and Raleigh/Durham were the third fastest growing metropolitan areas for electric vehicles. In the last four years, growth has averaged more than 50 percent year over year, according to the Auto Alliance. 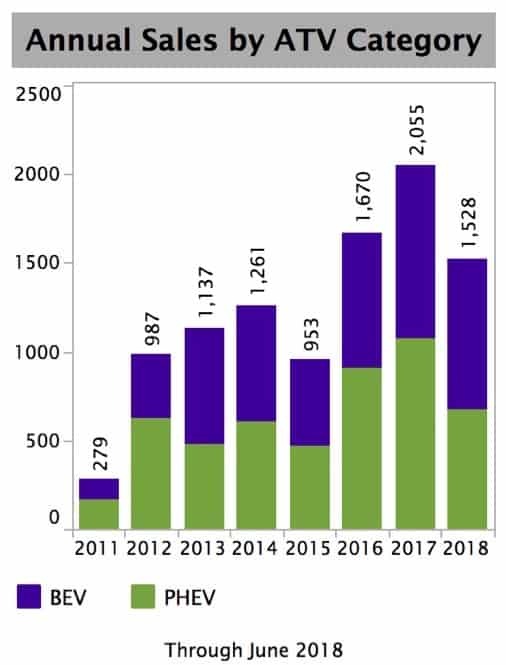 Total EV registrations (both plug-in hybrid electric vehicles and battery electric vehicles) in North Carolina were at 7,946 in 2017, and in 2018, the numbers jumped to 10,001 just through June, representing a 26 percent growth. 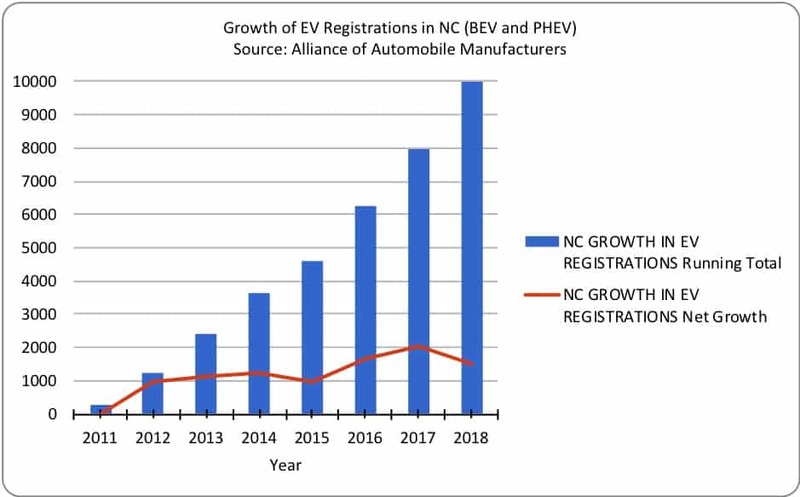 1,670 EVs were sold in North Carolina in 2016, and 2,055 were sold in 2017, representing a Year Over Year increase of 23.10 percent, according to EVadoption.com. There are more than 3.5 million vehicles currently registered in North Carolina. Reaching the Executive Order goal would require registering about an average of 11,000 vehicles per year between now and 2025. Charging infrastructure availability and range anxiety remain barriers to consumer adoption of electric vehicles, according to the 2018 50 States of Electric Vehicles report. As battery technology and associated vehicle designs and technologies improve, vehicle ranges are increasing, but the lack of more widespread charging infrastructure remains a deterrent to greater market acceptance in most parts of the country, according to the report. While market factors play a large role in this, legal and regulatory barriers are also affecting the pace and location of infrastructure development. However, as electric vehicle battery prices drop, and driving range and performance improve, more vehicle manufacturers are announcing the launch of new, all-electric vehicle models, according to the recent 50 States of Electric Vehicles Report. Read the full Executive Order 80 here. 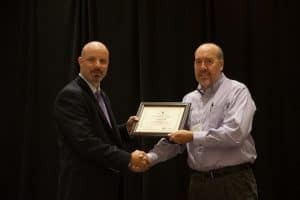 The 12th annual North Carolina Mobile Clean Air Renewable Energy (CARE) awards and the NC Smart Fleet awards were announced as part of the 2018 Sustainable Fleet Technology Conference & Expo held at the Durham Convention Center in Durham, N.C. ! 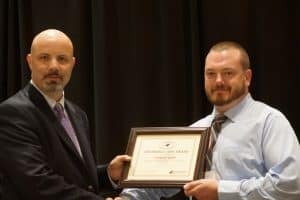 The Mobile CARE awards recognize transportation emission reduction efforts that are advancing alternative fuel and transportation technology activities in North Carolina. For Mobile CARE, candidates were sought in three main categories: Individual, Policy/Organization, and Fuel/Technology Providers. 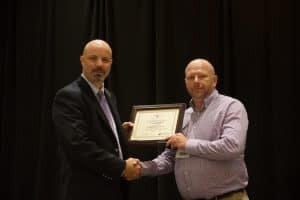 This year, the judges selected Jason Wager, coordinator of the Centralina Clean Fuels Coalition (CCFC) for 18 years, for the Individual award; Town of Cary for the Policy/Organization award, and Novozymes for the Fuel/Technology Providers award. 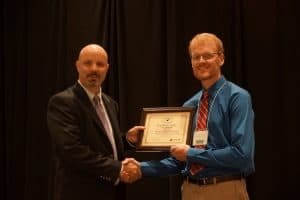 This award goes to an individual in North Carolina who-in both their professional and personal life- has worked to advance the adoption of sustainable transportation technologies and practices. Jason Wager has been the coordinator of the Centralina Clean Fuels Coalition (CCFC) for 18 years. He provides leadership in the alternative fuels industry not only in the Charlotte region, but throughout the state and country. 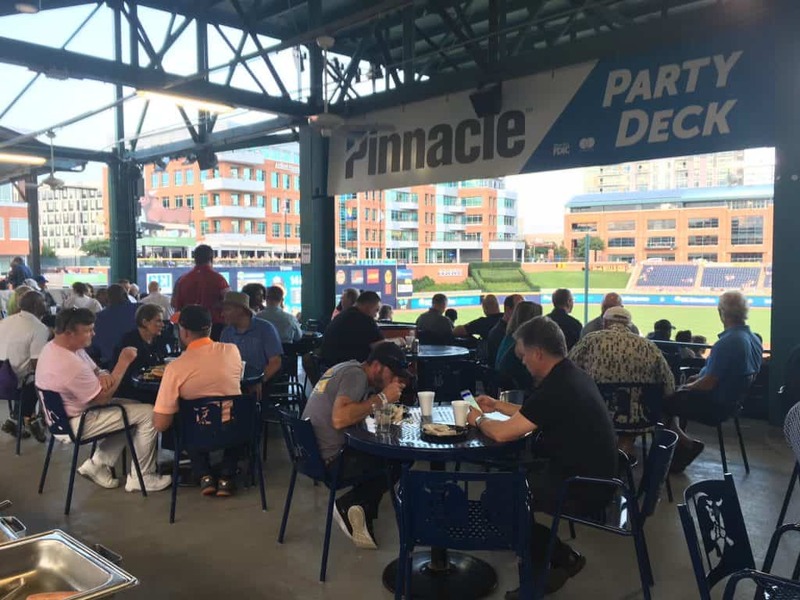 In North Carolina, Wager has been a long time education and outreach provider for the Clean Fuels Advanced Technology Program, a steering committee member for Plug-in NC and a member of NCSEA’s Electric Vehicle Working Group. He has organized countless educational activities related to clean transportation technologies in the Charlotte region. 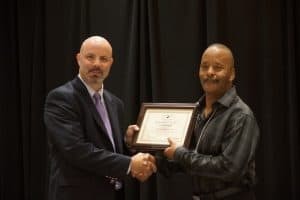 Nationally, Wager has served as a mentor to other Clean Cities coordinators and is a member of the Clean Cities Coordinator Council; these activities enable him to educate and assist new Clean Cities Coordinators. 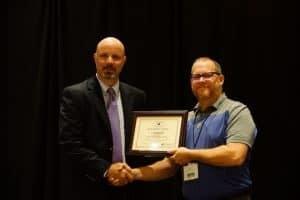 This award goes to a public or private organization that has created a policy that deserves to be held up as an example of a Best Practice that should be more widely adopted. The Town of Cary first adopted a Strategic Energy Action Plan in 2012 and modified it in 2015. As one of the three focus areas for reducing energy use was fleet. The overall plan calls for reducing energy use by 13% by 2020. As part of their Strategic Energy Action Plan the town has created a Fleet Efficiency Standard Procedure, which puts in place standard procedures around purchasing more efficient vehicles, utilization of vehicles, driver training on how to drive more efficiently, route selection to reduce vehicle miles traveled, and mandated annual reporting. 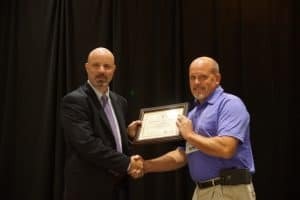 The Town of Cary has seen a 11% improvement in MPG across their fleet and a 17% reduction in vehicle miles traveled since implementing the standard procedures. 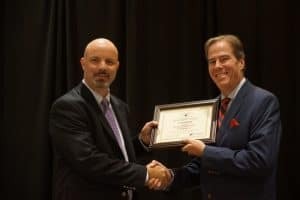 This award goes to a fuel or technology provider in the state of North Carolina that has worked to advance the adoption or availability of clean transportation technologies in the state. With a headquarters in Franklinton, TN, Novozymes is one of the world’s largest manufacturers of enzymes that help break down organic matter into biofuels. Novozymes has committed to following the UN Sustainable Development Goals. Globally, Novozymes has committed to reducing their carbon footprint by 100 million tons by 2020; as of 2016 they were 69% of the way toward their target. 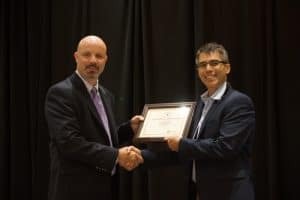 Here in North Carolina, Novozymes has been consistently committed to supporting educational efforts that promote clean transportation technologies. 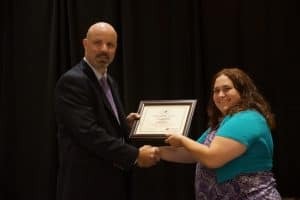 They have helped support the Particle Falls exhibit, the alternative fuel tailgates, and have a long-standing relationship with NASCAR regarding education on ethanol. 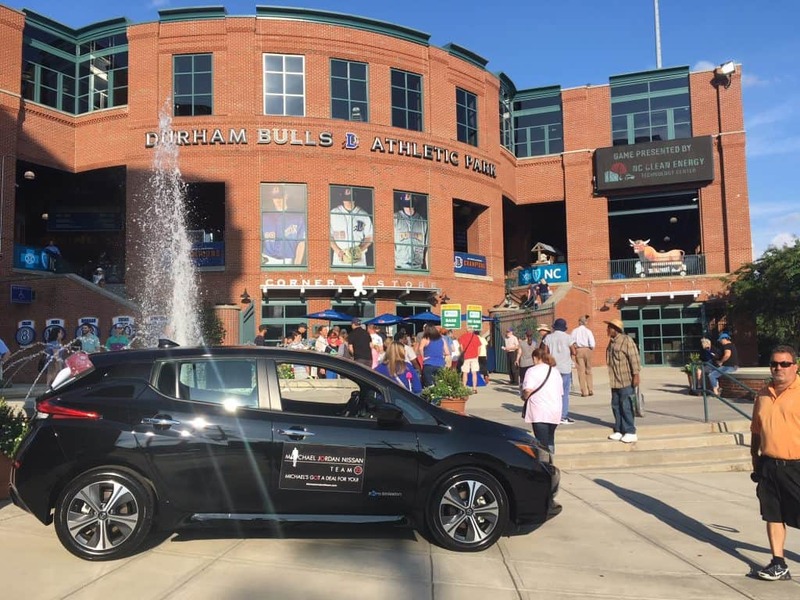 N.C. Smart Fleet focuses on fleet commitment and accomplishments in reducing petroleum use, thus reducing CO2 emissions and other harmful emissions. 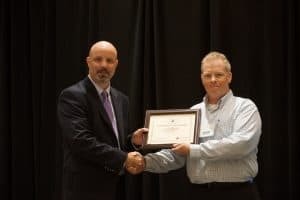 North Carolina based fleets (both public and private sector) are recognized by the N.C. Clean Energy Technology Center as supporters, leaders or champions based on their sustainability practices. 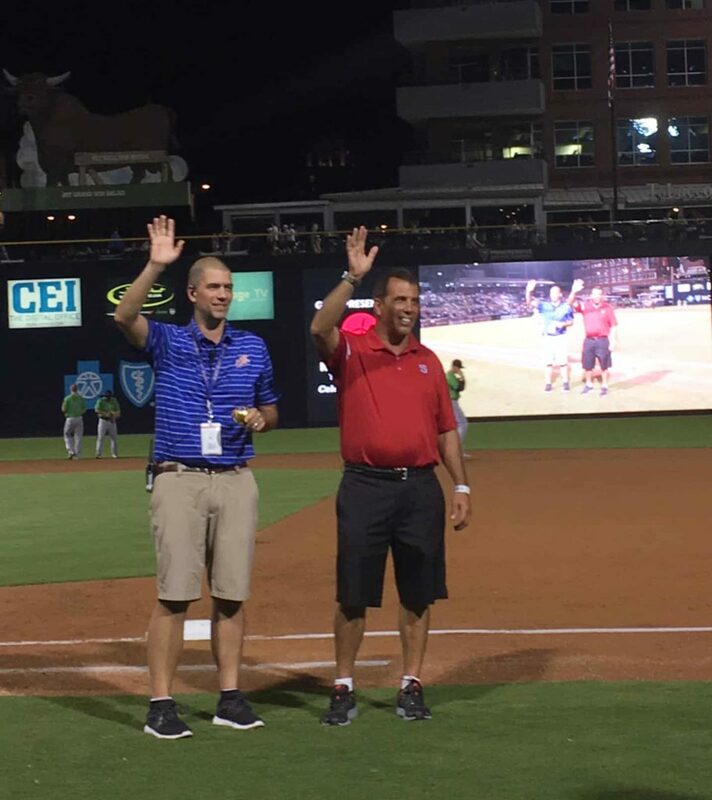 NC Smart Fleet Champions have achieved the highest level of recognition that we offer. Through demonstrated emissions reductions, improvements in fuel economy, use of alternative fuel vehicles, and use of best practices, these fleets serve as examples for the rest of us. BuildSense: BuildSense is a design-build general contractor with an emphasis on green-building in commercial and residential. Even among Champions, BuildSense stands out from the crowd with nearly 90% of their fleet being alt fueled, consuming almost 70% alternative fuel, including CNG, B100 biodiesel, and electricity. In 2018, they reduced their fuel use over 2017 consumption, and they burned only B100 in their biodiesel vehicles. 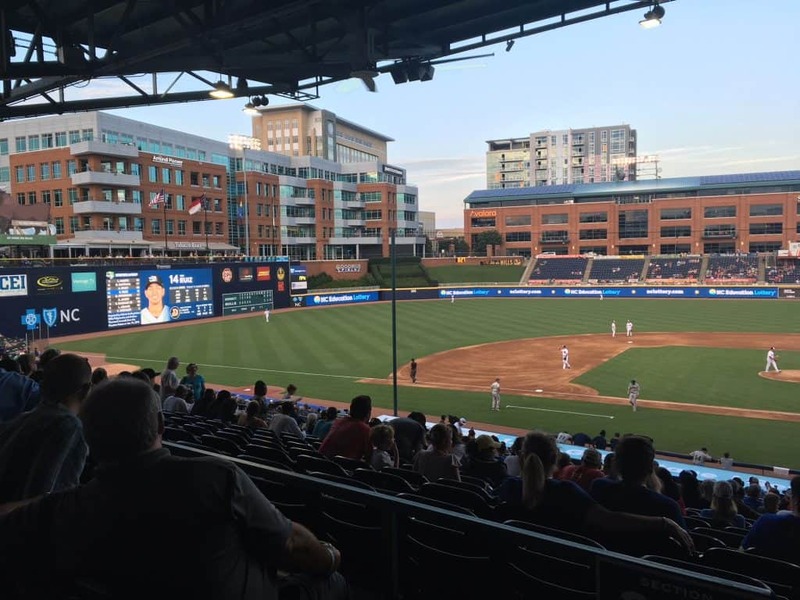 City of Charlotte: The City of Charlotte continues remarkable progress in interdepartmental collaboration and management of fleet data, which gives them extra leverage to reduce air pollution and improve fuel economy across City functions. For the second year, their application includes Charlotte Mecklenburg Police Department; City Fire Department; Solid Waste Services; Water; Department of Transportation; Engineering and Property Management; Housing and Neighborhood Services. Nearly 22% of their total fleet is alt-fueled, including 30% of their light-duty fleet. 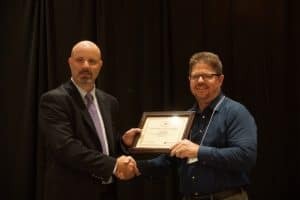 City of Durham: In 2017 City of Durham engaged an array of efforts and policies to cut pollution and plan for fuel efficiency: They used GIS and telemetry data to scrutinize efficiencies, routes, and idling in Solid Waste. The City replaced a number of police cruisers with fuel efficiency as a criterion. The City made substantial facility improvements and started a new stringent right typing / rightsizing replacement program. EPES Transport System, Inc.: This freight hauler continues to run both liquefied natural gas (LNG) and compressed natural gas (CNG) trucks; and they continue to improve fuel economy through techniques such as monitoring tire pressure, mandating speed limits, purchasing trucks that are more aerodynamic, and using telematics. EPES continues testing several brands of trailer tails, and an electric APU device to further reduce fleet idling. 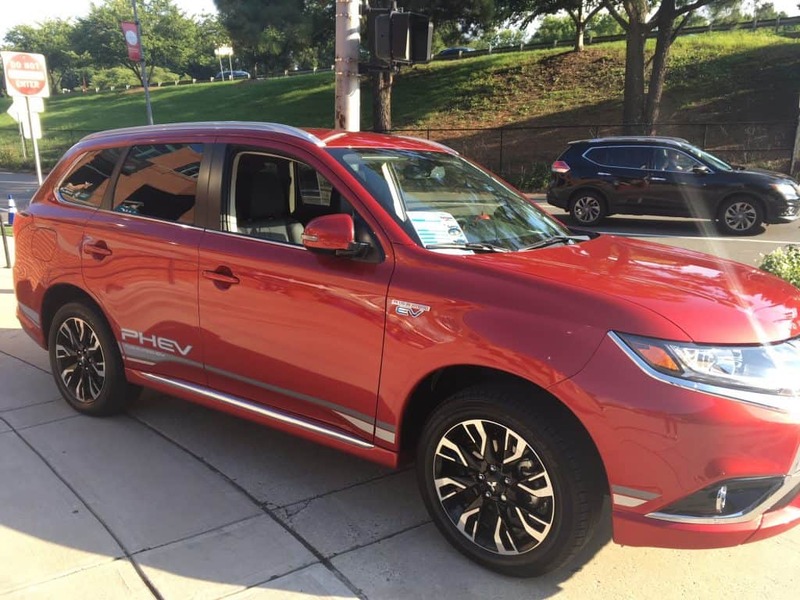 Town of Cary: Despite continued growth of population and demands for public services, Town of Cary continues to lead in purchasing high MPG vehicles, robust use of smart-fleet technologies, and exemplary policies to push their Championship status. In 2018 they significantly increased their alt-fueled share of total fleet to almost 5 and a half percent. The Town’s formal rules and guidance on clean transportation includes fuel efficiency, purchasing, right-sizing, and route-planning policies. UNC Charlotte: UNC Charlotte’s steady Championship for clean transportation policies and practices shows in their 2018 application. After last year’s surge in use of electric vehicles from 48 new charging stations, light rail entering campus, and a new bike-share system, this year UNC-C tracked reductions in both vehicle miles traveled (VMT) and fuel consumption. NCDOT Rail Division: NCDOT Rail Division is a new member of NC Smart Fleet for 2018. They run 8 locomotives for passenger service between Raleigh and Charlotte, and they have a strong history of innovation in pollution reduction. Despite new routes and increased vehicle miles traveled due to growth of demand for their services, the Rail Division continues to lead in deploying emissions reduction technologies. Orange County: Orange County has been diligently working to improve fuel economy and reduce transportation pollution for years. This year’s Championship application highlighted the more than 11% of their fleet being alt-fueled, including 23 hybrids and 15 bi-fuel propane vehicles. The County reports 100% of its diesel vehicles being equipped with particulate filters or other emission reduction equipment. The County also have an Annual Sustainability Report on fleet MPGs, their GHG emissions inventory is being updated to include fleet activities, and they are directly coordinating with departments to implement telematics systems and a CarShare program. 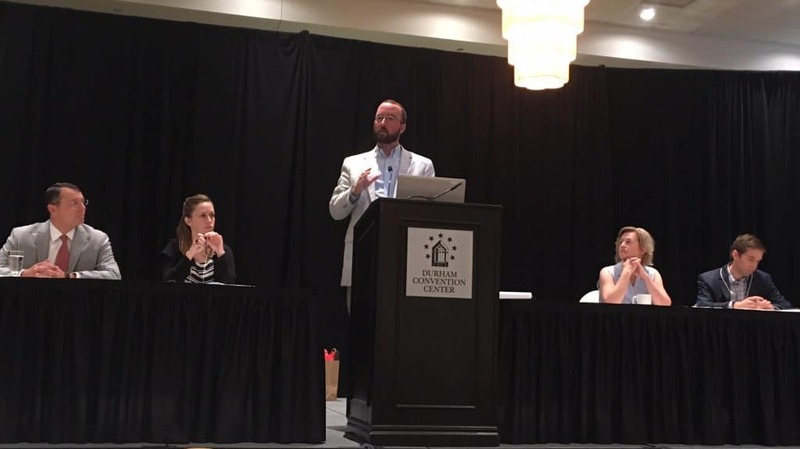 NC Smart Fleet Leaders have demonstrated a commitment to improving the sustainability of their fleet and have implemented some clean transportation technologies and best practices in their fleets. City of Winston-Salem: City of Winston-Salem is a new addition to the NC Smart Fleet program, and they join by reporting almost 2% of their fleet is alt-fueled, including 1.8% of whole fleet, 2.6% of light-duty fleet, using electric, hybrid, & CNG technologies. W-S reports an impressive 1% reduction in vehicle miles traveled (VMT) from 2017 to 2018. This is a 141,000-mile reduction. 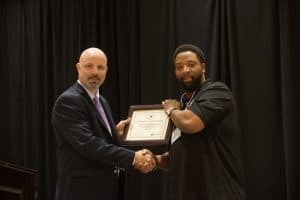 Charlotte-Mecklenberg School District Building Services Department: Charlotte-Mecklenburg Schools showed continued leadership in clean transportation in a number of ways. They significantly added to their alt-fueled fleet, increasing their percentage from less than 1% to more than 3.5% of fleet, using both dedicated and bi-fuel Propane, and gas-electric hybrids. They continue to use technologies such as anti-idling, GPS, route planning, and driver prompts to remember MPGs and Eco Driving techniques. Durham City Transit Company: Durham City Transit Company is a new addition to the NC Smart Fleet program, shining with more than 40% of their fleet being alt-fueled – 25 hybrid buses out of total fleet of 61. Gaston County: Gaston County is also a new addition to the NC Smart Fleet program, joining with more than 13% of their total fleet being alt-fueled. Almost 32% of their medium duty fleet runs on propane with the option to run gasoline. GoTriangle: GoTriangle is another new addition to the NC Smart Fleet program for 2018. This regional transit agency serves more than 1.7 million people per year and has noteworthy policies in regards to clean transportation. GoTriangle reports 100% of their fleet using particulate filters. 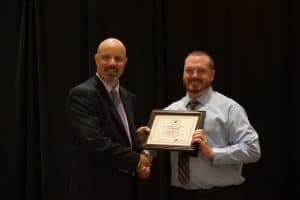 The Mobile CARE and NC Smart Fleet awards are given by the N.C. Clean Energy Technology Center with support by the N.C. Department of Transportation.